I think everyone would be fairly familiar with flies and mosquitoes. The small black bush flies have become synonymous with Australian Summers, especially in the more arid areas. In the wetter regions, the mosquitoes lie in wait for an easy meal of blood. 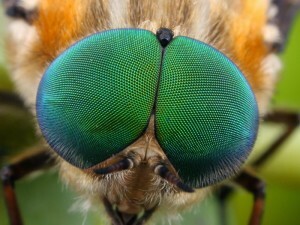 The large compound eyes of a Scaptia sp. 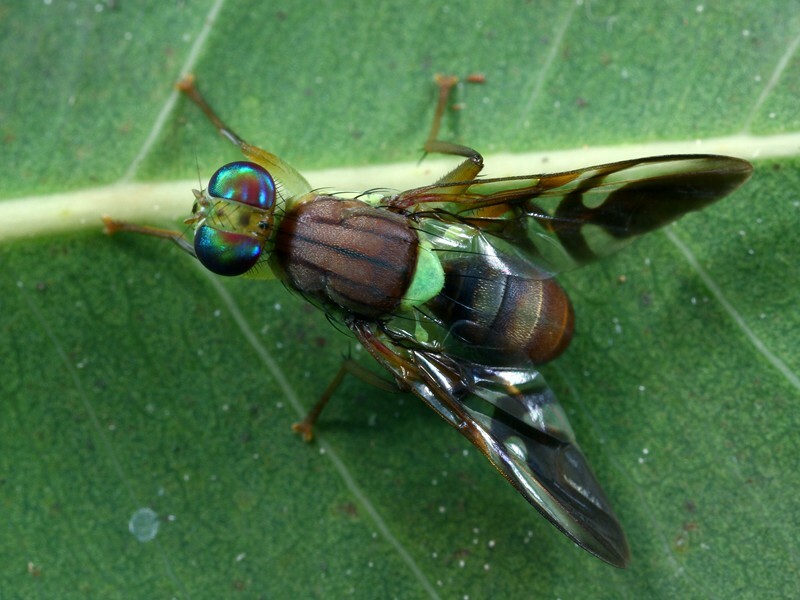 Diptera is a large and diverse order, although there are some common distinguishing features. They all have two pairs of wings – the forewings are membranous, as with many other flying insects, but the hindwings have evolved to become small, club-like structures called halteres, which act as stabilisers during flight. Diptera have large compound eyes and rather short, simple antennae. Adults feed on liquids using sucking mouthparts. In some cases, these mouthparts are used for sucking or mopping up nectar, while in others they have become modified for piercing skin and sucking blood. Diptera undergo complete metamorphosis during their life cycle. The adults lay eggs on or near food sources. The larvae usually feed on rotting vegetable matter or carrion, although some are predatory or parasitic. Once fully developed, the larvae pupate and after a short period of time, a full adult emerges. Flies and mosquitoes inhabit most regions, the greatest diversity being found in forests and near fresh water. Because of the size and diversity of this order of insects, it has been pretty much impossible to find any comprehensive references, so most of my subjects have remained unidentified at this point. Sorry about that, but I hope you like the pictures anyway. Many thanks to Bjoern Rulik from Germany for his kind assistance with some of the identifications. 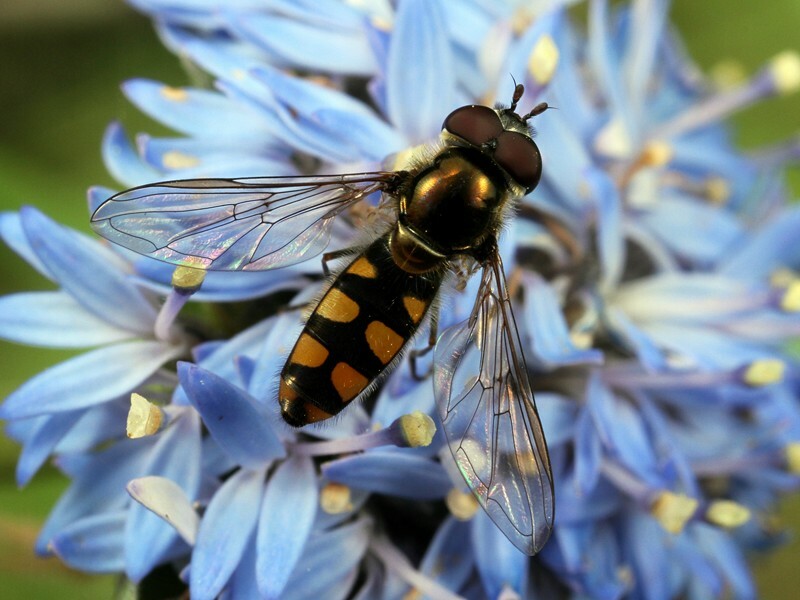 Common Hoverfly, Melangyna viridiceps, one of the most easily recognised flies from the family Syrphidae.